This Mauve Sequin Maxi Dress with Criss Cross Back is perfect for any special occasion! We love its beautiful Mauve color, sequin detail and criss cross back. 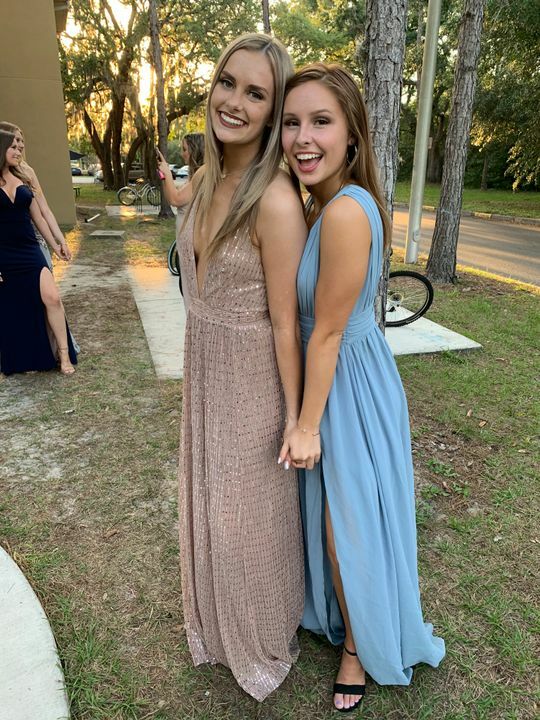 Paige K. Reviewed by Paige K.
The dress came sooner than I was expecting, it was true to size, and I received so many compliments throughout the night! Definitely will be purchasing all my formal dresses here. 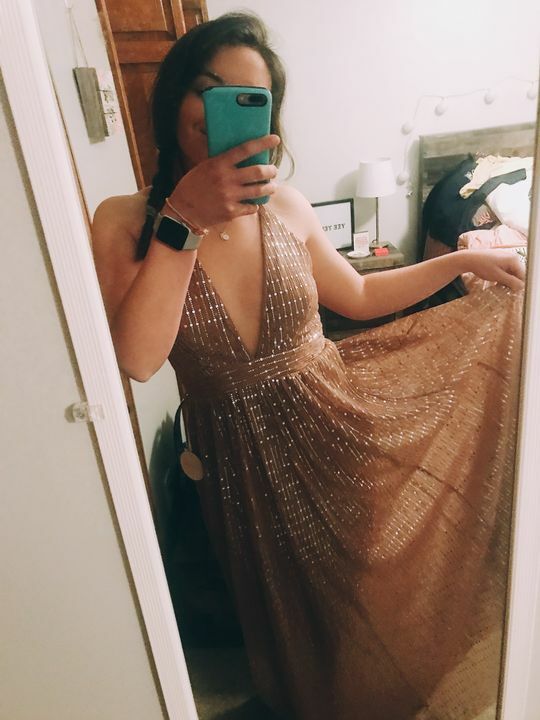 Teri K. Reviewed by Teri K.
Got this for a wedding coming up and can’t wait to wear it. It fits great all over. I’m 5’7 and 135 lb and got a medium.